Research and innovation, attention to quality in production and services offered, an international focus, maximum flexibility and, above all, a product-centred culture that is the result of good design: these are the elements that characterise Foscarini’s company identity. As a result of these qualities, Foscarini has managed to develop its collection of models with a strong personality, the fruit of coherence between design and production. Its partnership with grand masters and young talents from the international design circuit, with different types of professional experience and creativity, the central nature of the project and the company’s flexibility, have led to original products that are dictated each time by the features of each single design. 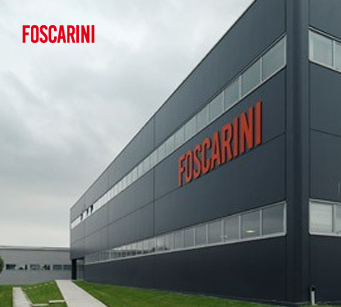 Foscarini’s international focus has led it to develop a solid sales network, with over 2500 multibrand sales points in 50 countries, with the support of high quality customer service, UNI EN ISO 9001 certified since 1996.